New research published today by NatCen Social Research and City University London uncovers the family-related factors driving changes in income that shifts a family below the poverty line. 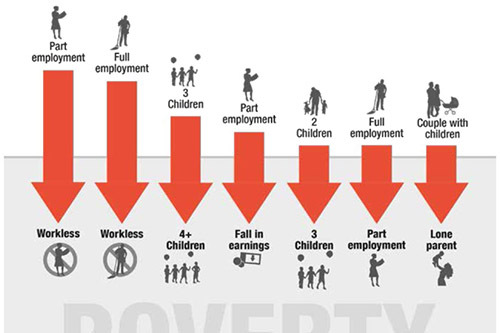 The report, Child Poverty Transitions, shows that the main factor causing children to fall into poverty is worklessness – around two in five children whose family became workless fell into poverty (42 per cent with parents initially in part-time work and 38 per cent with parents initially in full-time work). It also reveals other factors driving transitions into poverty, including having more children and parental separation. Ethnicity: Pakistani, Bangladeshi, and Black African children were more likely to fall into poverty than children of other ethnicities. The report also shows how children move in and out of poverty over time, finding that around a quarter of children in the UK were below the poverty line at some point between 2010 and 2012. During the two year period 12 per cent of children remained in poverty throughout, 7 per cent fell into poverty and 6 per cent escaped from poverty. 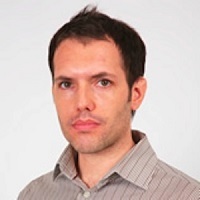 Dr Matt Barnes, from the Department of Sociology at City, said: “Understanding the transitions or movements into and out of poverty is essential if we want to put in place mechanisms to prevent people falling into poverty and to help them escape from it.